“The Contender” has secured his title shot. 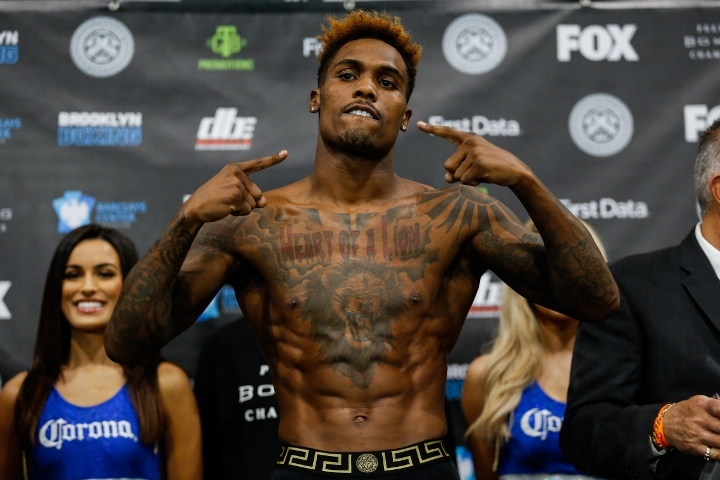 BoxingScene.com has confirmed through multiple sources that Brandon Adams has agreed to contractual terms to challenge WBC interim middleweight champion Jermall Charlo in his next fight. Showtime will televise the Charlo-Adams match either June 15 or June 8, perhaps from Charlo’s hometown of Houston. The date and site were not solidified as of Wednesday morning. Nevertheless, the deal means Adams will get the title shot and accompanying career-high payday he was certain he had earned by winning the fifth season of “The Contender,” which aired on EPIX late last year. Los Angeles’ Adams (21-2, 13 KOs) won season five when he soundly defeated Shane Mosley Jr. (13-3, 8 KOs) by unanimous decision in the 10-round season finale November 9 at The Forum in Inglewood, California. News of the Charlo-Adams deal was first reported by ESPN.com. The 29-year-old Adams also was offered a fight against former middleweight champion Gennady Golovkin (38-1-1, 34 KOs). That non-title bout would’ve been streamed by DAZN, with which Kazakhstan’s Golovkin recently signed. Adams opted for Al Haymon’s offer to challenge Charlo on Showtime because it was worth more financially to Adams than the package presented by Golovkin’s handlers. Charlo (28-0, 21 KOs) will fight for the first time since Russian southpaw Matt Korobov tested him in their December 22 bout at Barclays Center in Brooklyn. The 35-year-old Korobov (28-2, 14 KOs) took their FOX fight on just six days’ notice, yet he gave Charlo a much tougher bout than at least one of the scorecards suggested (119-108, 116-112, 116-112). Korobov inquired about an immediate rematch, but he had to settle for a fight against Immanuwel Aleem (18-1-1, 11 KOs). FOX will televise the Korobov-Aleem match as part of the Jarrett Hurd-Julian Williams undercard May 11 from EagleBank Arena in Fairfax, Virginia. Not watching this another predictable fight. Arum doesn't have to tell me to boycott PBC, Predictable Boxing Champions. Sick of Haymon's showcase fights. [QUOTE=j.razor;19650723]Tell me why Pvssy G is afraid of him before he even went to dazn then? [/QUOTE] Hahahahaahahahahahah. Nobody's scared of either Charlo lol. watch the gaymon groupies try and defend this trash fight! Nothing but bums and and cripples for charlotte. B!tch made only!